Dynamic Self-Syndication™ (DSS) is our powerful, marketing automation software that will allow you to take your law firm or medical practice to the next level. Sick and tired of managing several tools for your marketing and manually trying to connect the dots to see what is working and what isn't? DSS allows you to easily manage your website, traffic, leads, email marketing, reputation, social media, and local listing—in one easy-to-use tool. No need to pay for separate tools or software! This is why DSS is not just a CMS like WordPress—it's marketing automation software that will put you light years ahead of your competition! What Is “DSS” Marketing Automation Software and How Does it Help Law Firms & Medical Practices? Responsive, personal customer service—at no additional cost. Surprised that other companies charge you to make changes to your site or fix bugs? Not here. You can easily contact our Customer Service team via a dedicated customer phone number or by opening a ticket right in DSS. Our developers are local employees, not contractors in another country. All of our development is done here in the United States, the majority of it in our marketing company's Fairfax, Virginia, office. This means we spend a lot more money developing and maintaining DSS and your law firm's website development than we would if we outsourced, but we think it’s worth it to have complete control over every aspect of our marketing automation system and websites. Nobody makes code changes to your site except us. We never give outside companies access to the code on your website, so you don’t have to worry that the SEO consultant you hired will mess something up and then disappear. We take full responsibility for the integrity of the code on your site, and if you ever need a change that can’t be handled through DSS, one of our in-house developers will do it for you. Don't leave your website in the hands of amateurs or impersonal website hosting companies. Trust Foster Web Marketing and our marketing automation software, DSS, for your medical and legal marketing automation needs. Add content at any time. It is easy to add your own content, and we make it simple for you to add keyword-rich URLs, page titles, meta descriptions, and page content to your site. We even have a built-in folder structure based on your site’s practice areas that lets you group similar content together. Quickly and easily update your content. Need to update a page? Does your web content writing service provider want to optimize your page titles, headlines, or meta descriptions? All he needs is a DSS login! Built-in blog right on your site. There's no longer any need to maintain a separate website to have a blog. We have all the features and functionality of a blog built right into your site! Need to delete a page? No problem! You can quickly delete content that is no longer relevant—and we give you an easy way to create a “301 redirect” to another page on your site. This means that your deleted page won’t cause a 404 page error for the search engines. This is just one of the many legal SEO features built in to DSS. Create well-curated content to engage your visitors. So you’ve heard that the search engines reward sites with well-curated content. Don’t rely on websites built on a basic blog platform. DSS creates a folder structure for you—based on your business areas and any other categories you wish to create—to keep similar content together. This allows your site to display a rich selection of targeted, relevant content when a visitor is on an internal page of your site. Analytics for every page on your site. Never again wonder if a page on your site is getting traffic. In DSS, we have analytics built right in so you can see the page visits, time on page, bounce rate and other key metrics without having to install any codes or use confusing analytical tools. We give you the information you need to optimize every page of your website. Easily add free offers to your site to improve conversion. DSS has built in functionality so you can add as many free offers to your website as you want. Since all of our sites are designed to display your offers attractively, you can tailor many books, reports, DVDs, CDs, pamphlets or other offers for each business area. Built-in follow-up campaigns. 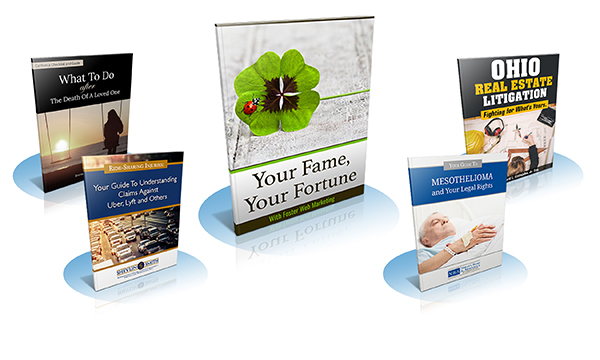 Do you have a book, report, DVD or other offer for visitors to your website? We let you easily set up and manage a follow-up email campaign for every offer on your site! Don’t let valuable contacts slip away—and like all of these other great features, we don’t charge extra for this. Immediate lead notification. Leads are precious, but often time-sensitive. DSS is designed to send you or somebody in your office an email or text message every time you get a lead from your website. Now you can astonish your potential clients with how responsive you are by contacting them as soon as they complete a form on your site! Know where your contacts are coming from. Our contact log shows you details about where your contacts came from, what search engine and keywords they used, and what forms they filled out. We even capture information from live chat and toll-free number providers so you get a complete picture of your online marketing efforts. Create and manage a newsletter in DSS. While we’re on the subject of nurturing your leads, do you have a newsletter? Using DSS, you can create a newsletter populated with links to content on your site, and then send the newsletter to your contact list. The best part about sending out newsletters that link back to your website? You drive up the return visitors to your site, a metric that will help signal to the search engines that your site contains valuable content. Easily add and manage videos on your site. We’ve partnered with an industry-leading video encoding provider so you can upload a variety of different video formats to DSS and have them play on any page of your site. Promotional videos have become hugely influential in search results, and you can easily create a rich library of video content for your site visitors. We even integrate with YouTube so you can send your videos right from DSS to your YouTube channel! Unlimited user accounts in DSS. Other web companies may restrict the number of accounts they’ll let you have to edit your site—if you can edit your site at all. At FWM, we play by more generous rules. You can have as many users as you need, and we’re always happy to provide training to your new employees or even any consultants you’ve hired to help with your marketing or SEO. Accessibility. Our developers are passionate about accessibility, and develop sites with sight-impaired users in mind. Connect with other users in our DSS Forum. DSS has its own built-in forum, so you can look for answers to your questions or post a question of your own. Join our engaging DSS User Group. Our DSS User Group meets once a month and is open to all of our clients. You can join, or you can send your marketing manager or assistant to the meetings to ask questions or suggest topics. As a company committed to educational marketing, we put a premium on showing our clients how to succeed with regular webinars and user group meetings. Dynamic mobile websites. Our mobile business websites display the SAME content as your main site, something that search engines like to see. You don’t have to do anything to maintain your mobile site; any update you make to your main site through DSS will be reflected on the mobile site immediately. Social Media Posting. Once you have written content you have the ability to share that content directly to Facebook, Google+, LinkedIn and Twitter directly from DSS. This feature makes it easy to promote your recently created content and saves you time. Social Media Reporting. Once you have shared your website's content on social media websites you can track your social media performance for individual content pieces in DSS. Just navigate to an individual piece of content and check out how well it did on social media platforms like Facebook, Google+, Twitter and Pintrest. Take a look at invidual page's Google Analytics and social media metrics all in the same place. Foster Web Marketing has been an essential part of our marketing team for the last year and a half. Their team is supportive and innovative, and they provide exceptional customer service. Their DSS marketing automation software is rich and user-friendly. We don't know what we would do without it!